Making your own high-protein snacks doesn’t have to be rocket science. It’s all about using high-protein food sources in portable and easy-to-eat ways that you can bring with you on the go for an instant fuel-up, or whip up quickly to curb any cravings that come out of nowhere. Get creative when you think of snack time. 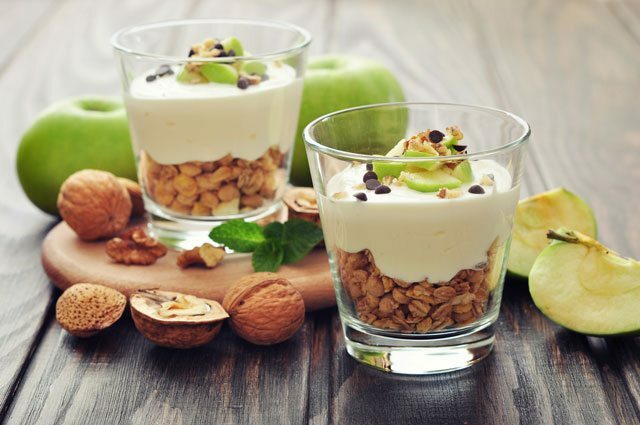 It’s easy to get into the mentality of a shortage of snack ideas, but all it requires is using foods that you love in new and different ways so that it has a bit of novelty to it and makes you look forward to eating it. Many of the snacks listed below are revamps or new spins on old favorites, and you’re free to experiment with your own changes and adjustments according to your own tastes. Who says you need an oven to make a high-protein snack? Here’s a no-bake way to make protein bars that are healthier than anything you’ll find in stores because you get to exert quality control over the ingredients. For the protein we’ll be using both peanut butter and whey protein to make sure that we are getting fiber and amino acids respectively, in addition to the protein. To make it taste good add dark chocolate nibs. They’ll go nicely with the peanut butter, and if you’re using chocolate whey protein (recommended) they’ll help with the flavor, which is often lacking with most chocolate protein powders. Making it: Take all of your ingredients and mix them together until it forms a thick batter, almost like cookie dough. Form it into a 13×9 inch glass pan, cover it, and put it in the refrigerator. Wait a few hours and it should have cooled to the point of being firm and like a protein bar. Cut into appropriate sizes, roughly the size of your palm, and you’ve got a portable protein snack that’s ready when you are. Eating yogurt and fruit separately is tasty, but just isn’t very much fun. You can spruce it up a bit by treating it like a frozen yogurt twist, with the use of a simple hand blender and the addition of a delicious mix-in. Fruit and yogurt is a quick and easy way to give yourself a protein boost that’s rounded out by a carbohydrate. But it doesn’t have much novelty to it until you add in a mix-in, just like they do if you order a Blizzard or a McFlurry, but in a guilt-free way. For the mix-in we recommend a healthy fat source from a nut, like pecans or walnuts. 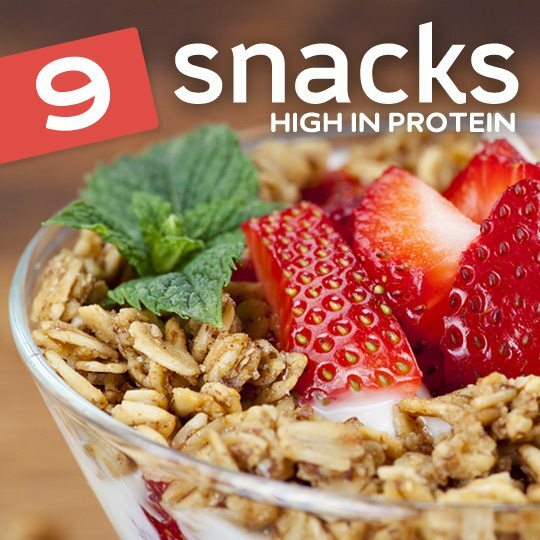 They’ll also give you an additional texture, so you’ll get creamy and smooth from the yogurt, chewy from the fruit, and crunchy from the nuts. Making it: Choose your favorite fruit, and plain or vanilla yogurt, toss the fruit into the yogurt, take a hand blender and give it a few quick blasts. In just a few seconds you’ve got your fruit and mix-in blended right into the yogurt so you don’t have to eat them all separately, and it also makes it easier to chew up and digest. When your hour of need arrives you need to be there for yourself with a little pre-planning that has you prepared with a healthy shake that will get you through to your next scheduled meal. This shake can help you out, and can be mixed up in a minute flat so you’re never too far away from having it. Don’t think you have willpower? We all do, but willpower is not something you want to test too often, or as a daily routine. It’s better to anticipate the times when you’re most likely to diverge from your path and be ready with the solution rather than get down on yourself for not having the willpower to avoid unhealthy eating. Here’s the roundup of things you’ll want to keep in stock so that you can put them together at just the right moment. Making it: This is a shake that is meant to be shaken, not blended. Get your favorite shaker bottle ready and make sure the lid is secure. We recommend the kind that has the metal ball on the inside to really break up the powder and smooth out the consistency. This is basically our rendition of trail mix, but you don’t have to be on the trail in order to enjoy it. 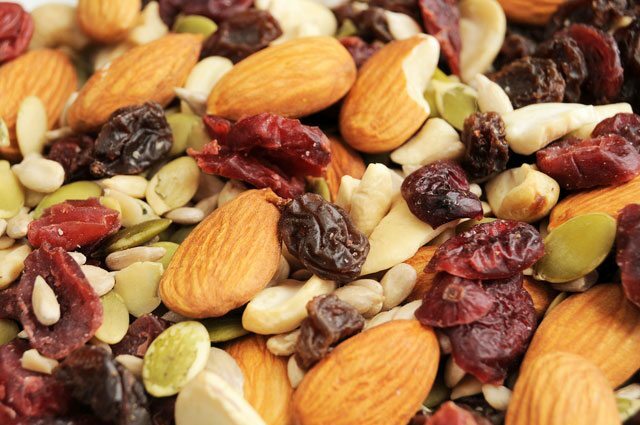 Gone are the M&Ms you find in some of the best-selling trail mixes out there, and in their place are healthier options that will do your body much more good. The almonds and pumpkin seeds have you sorted as far as protein goes. You’ll be getting antioxidants from the cranberries and dark chocolate. There is a strategy to using the same amount of each ingredient, and that’s so there will always be an equal representation of each item. The result of a balanced portion of this mix is that you get a fruity, nutty, chocolatey mouthful that is very satisfying, without setting you back on your dietary goals. Making it: Assemble all of the ingredients into a plastic ziplock bag and shake it up to evenly disperse all of the goodies. Since the recipe is equal parts everything it’s very easy to double or quadruple it and store up the extra for the week. Sometimes it’s good to eat dessert first, and if you’re feeling stressed that you won’t make it to dinner without grabbing an unhealthy food first, you can use this sweet protein-filled treat as a healthy prelude to a satisfying dinner. There is added benefit to eating a sweet treat earlier in the day rather than after a big meal. You’ll have more time to burn it off, and you’ll be less likely to want a dessert after you have your evening meal. You’ll love how easy it is to make this, and you get multiple servings from each batch, which you can share or keep refrigerated to enjoy for multiple days. Making it: Make up the pudding as directed on the box. Mix in the protein powder until it’s fully blended in with the pudding. Whip the coconut cream and add a dollop to the top of each serving. This last step is important, as it will transform this from “pudding with protein powder” into a “novelty dessert”. This tells your brain that you’re getting something tasty and fun. Beef jerky is a very concentrated source of protein, and can go with you anywhere, and could be just what you need to sustain yourself between lunch and dinner. We’ve found that using ground beef is the easiest way to have consistent results without using a dehydrator. Most jerky recipes you’ll find have you cutting strips of steak, which is fine if you’re able to dehydrate it long enough, but our version uses your oven on a low setting and ground beef lets you have a thinness that helps dry it out right. 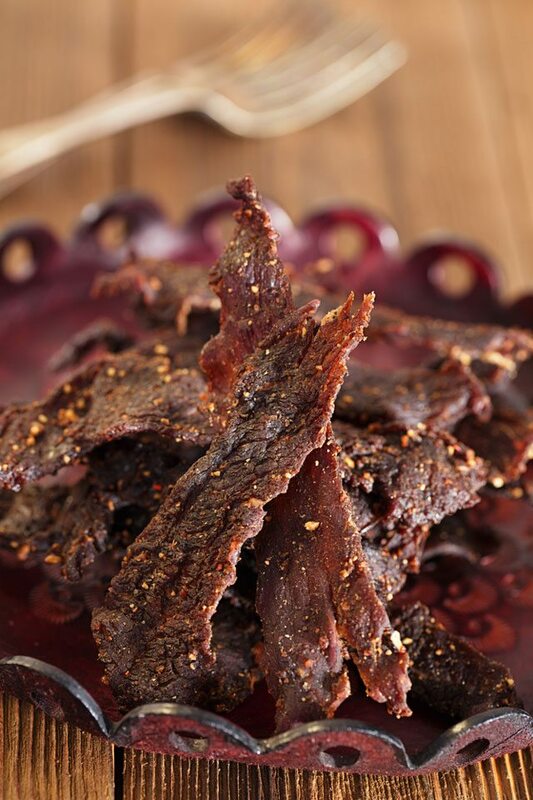 Making it: You don’t need a dehydrator to make our beef jerky, but if you have one you should definitely use it. Preheat your oven and keep it on its lowest setting. This will vary by manufacturer but should be less than 200 degrees. 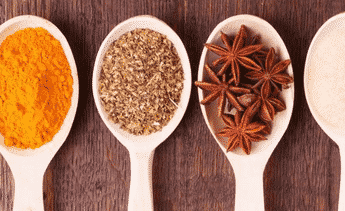 Mix in your spices and adjust their quantity based on your own preferences and the amount of meat you’re using. In our experience its best to err on the side of too many spices than not enough. You should be able to visually see bits of herbs and seasoning in the meat. At this point you’ve got a big pile of seasoned meat. Time to treat it like cookie dough and roll it into a sheet. You don’t want the meat to be too thin or too thick, about a quarter of an inch is perfect. By the time you’ve finished mixing it up and rolling it out your oven should be ready. Pop it in and let the oven do its thing. Check in on it on occasion to see how it’s coming along. It will take several hours to get to the perfect state, anywhere from 6-10 hours or more depending on a variety of factors like how thin you rolled it out, and what your oven’s lowest setting is. Cheese is already high in protein, but when you serve it up on a protein-packed cracker you are getting an even bigger boost. If you think of Velveeta on a Ritz when you think of cheese and crackers, it’s time for an upgrade. For starters, pick a high-quality brand of cheese that’s organic so you aren’t getting any hormones or antibiotics along with it. Pick an organic cracker to put the cheese on and you’re good to go. This will be one snack that you can return to again and again when you’re a few hours away from a meal but are feeling the rumblings in your stomach. Making it: Stack the cheese on the cracker and enjoy! Go fancy with an additional topping like an olive slice or avocado spread. If ever you have a problem, a cookie surely helps. In this case it can help with any protein shortage you’re experiencing. 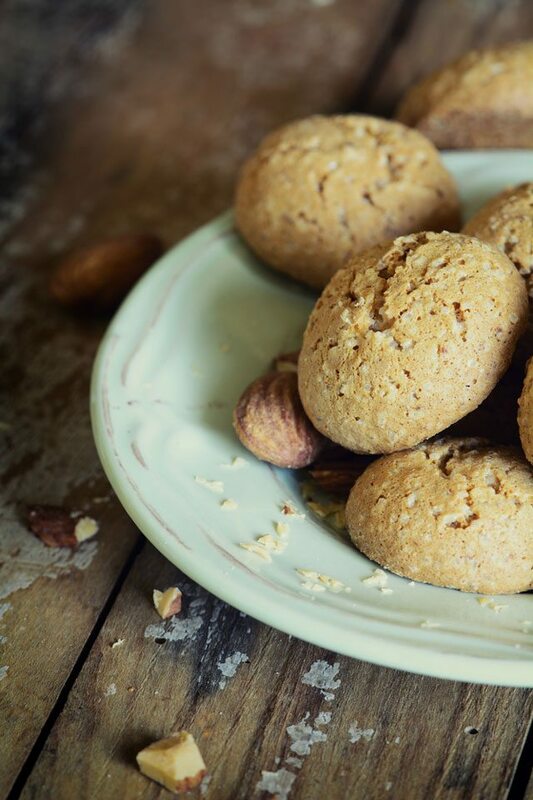 Packed with protein, they’re a healthier option than any cookie you’ll find packaged and sold in stores, and they can quell your appetite and increase your protein number in one yummy munchfest. One feature of cookies is that there’s no particular time of day that they’re best, they can pretty much be eaten at any time, which makes them extra handy as a go-to protein fix. This batch of cookies is simple, but produces good results and can be customized three different ways so you never get bored with the same old cookie. Making it: The beauty of these cookies is that you make them just like you would any other cookie batch, you’re just adding the whey protein powder to amp up their protein content to the point of being a boon to your system. Preheat your oven to 350 degrees, mix all ingredients in a bowl until a batter forms. Scoop into balls and place them spaced out on a greased cookie sheet. Bake 12-15 minutes or until they look and smell done. This is basically a meaty rendition of a fruit roll-up, and takes the protein power of a cold-cut and makes a snack out of it. The key is you are rolling up the protein around avocado, which adds a bit more protein, but also gives you fiber, potassium, and healthy fats to really make a snack out of it instead of just eating straight deli meat. The reason it’s important to have some fiber along with your protein is that animal-based sources of protein won’t contain any fiber to speak of, so you’re giving your system what it needs to digest the snack properly. Use a deli meat of your choice, such as turkey or chicken. Choose all-natural slices with no nitrates. An organic avocado is the only other ingredient you’ll need to get the job done. Snacks should be simple because you don’t want to be caught hesitating when your stomach grumbling midday. Making it: Slice your avocado up, place on the slice of meat and roll it up. Repeat until satisfied.